It acts as a multilayer barrier and protects the material from water, moisture and heat. Established in the year 2013, at New Delhi (Delhi, India), we “Fortuna Industries”, are reckoned as an eminent name engaged in Manufacturing and Supplying a wide range of Polythene Sheet, Tarpaulins Products, LDPE Fumigation Cover, Floor Membrane, Pond Lining Sheet, etc. 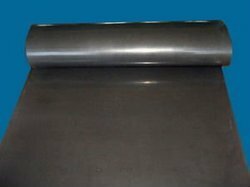 These sheets provided by us are manufactured by utilizing excellent quality raw materials that are sourced from our authentic and genuine industry vendors in strict compliance with the market quality standards. These sheets are made available for our clients in diverse lengths, colors and other related specifications at market leading prices within the estimated time frame. Our offered sheets are extensively appreciated in the market for their unique features which include tear resistance, fine finish, high strength, ability to withstand adverse weather condition, etc. Apart from this, our prominent patrons easily purchase these sheets from us at rock bottom prices.